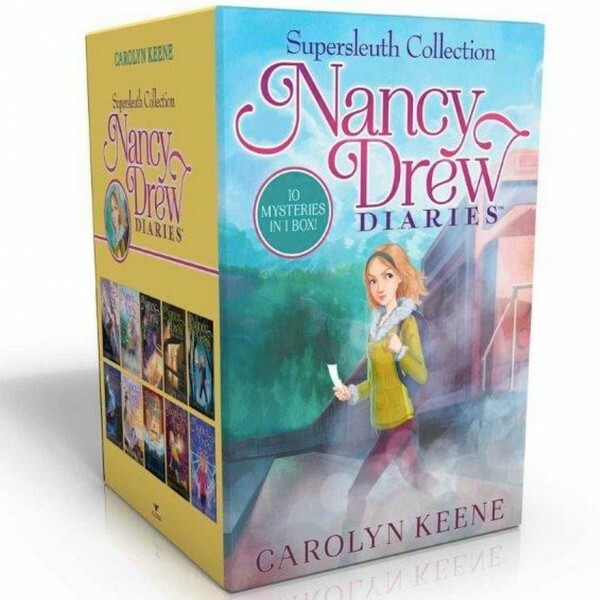 Join Nancy Drew and her friends as they solve thrilling mysteries with the first ten novels in the Nancy Drew Diaries series, now available in a collectible boxed set! This thrilling collection includes Curse of the Arctic Star, Strangers on a Train, Mystery of the Midnight Rider, Once Upon a Thriller, Sabotage at Willow Woods, Secret at Mystic Lake, The Phantom of Nantucket, The Magician's Secret, The Clue at Black Creek Farm, and A Script for Danger. For more products featuring this classic Mighty Girl character, visit our Nancy Drew Collection.